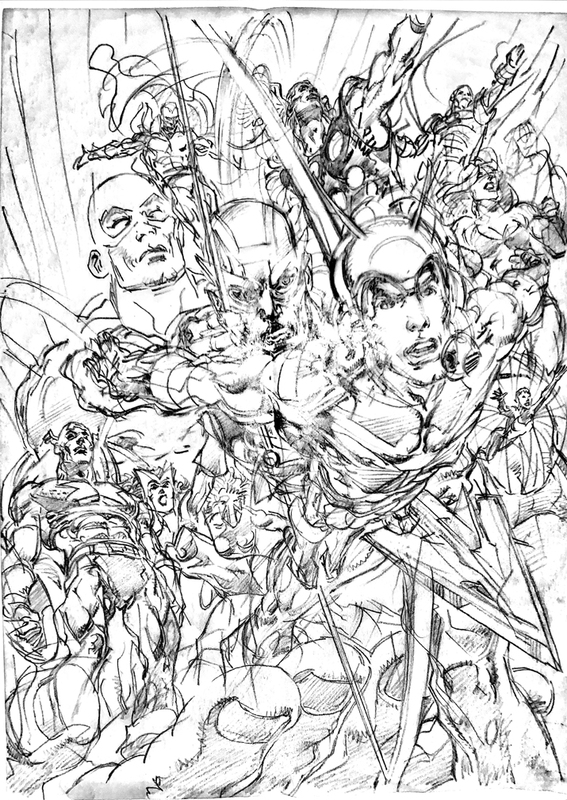 This Avengers layout sketch is perhaps the tightest sketch that Neal has ever drawn for any cover. Of course the complexity of the composition demands it. It is drawn on tracing paper approximately 9" x 12", extremely tight and nailed.